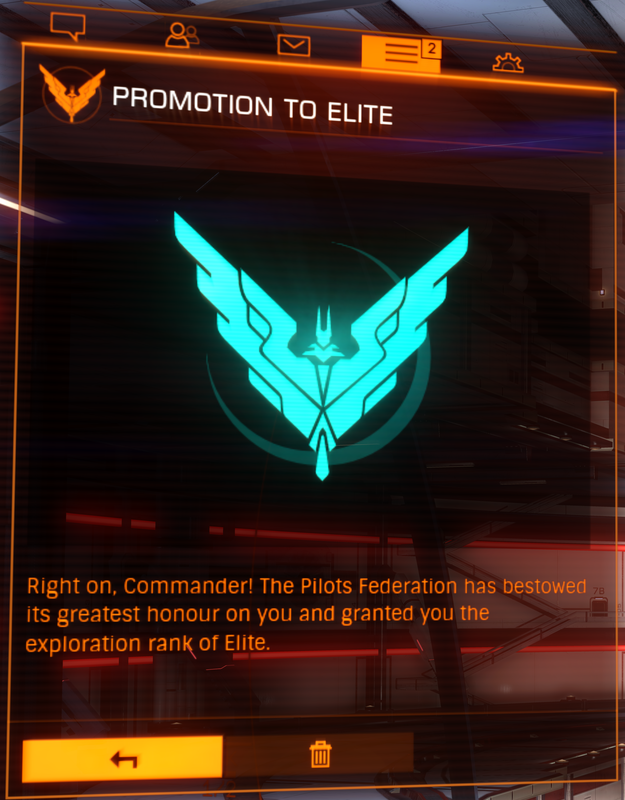 Finally, I have attained the rank of Elite in exploration. Not much else need be said on the matter. Next, time to work on trade rank. I’m sure combat will work on itself through pirates and the like.